LOS ANGELES, CA (SEPTEMBER 7, 2018) – The Los Angeles County Economic Development Corporation (LAEDC) today announced the finalists for its 2018 Most Business-Friendly City in Los Angeles County Award. The cities of Inglewood, Rosemead, and Whittier are finalists for the population 50,000 and over category, and the cities of Azusa, Duarte, Monrovia, San Gabriel, and Santa Fe Springs are finalists in the population under 50,000 category. 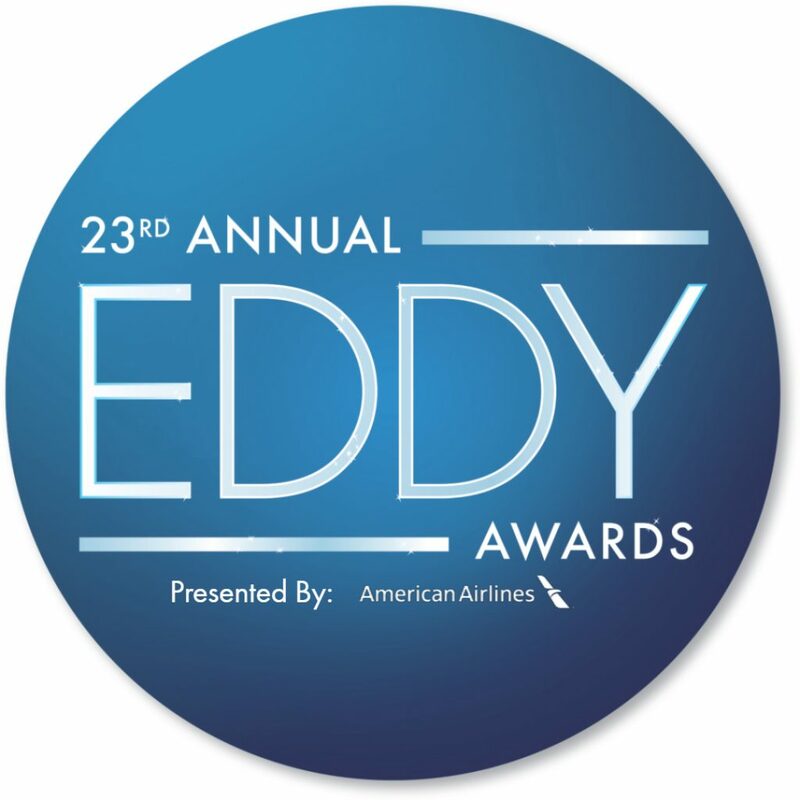 One winner from each category will be announced live at the 23rd Annual Eddy Awards® on Thursday, November 8th, at the Intercontinental Hotel in Downtown LA. The City of Inglewood creates a business friendly environment because of high prioritization of the Mayor and City Council to establish an attentive, responsive and accessible relationship with entities choosing to do business in the city. City staff responds with accessible and eager interface with the business community both at their service counters and in the field. Residents wholeheartedly support new development and went to the polls to endorse the Stadium Initiative; and at the same time, continue to celebrate time-honored small businesses in Inglewood with loyal patronage. The City of Rosemead works diligently to maintain its business friendly atmosphere. City staff works closely and values its business community. The City of Rosemead provides a one-day turnaround for business licenses, conducts over the counter plan checks, engages with the community, recognizes and awards businesses for their contribution to the city, and attracts and retains a dynamic range of businesses. The City of Rosemead exists to serve, and takes pride in business friendly programs and practices. In Duarte, the city’s team is focused on providing top notch customer service. Being a small city, its staff understands the necessity to be proactive in its approach to attracting and retaining business and the need to make its development process efficient. The city takes pride in the exceptional customer service that is provided and in its transparent and straightforward approach to everything that it does. Duarte’s desire is that its residents, businesses and those in the development process will benefit from every contact with the city team. Monrovia, a dynamic community blending small town charm with big city amenities, and home to nearly 40,000 active and engaged residents, is also a world class place to do business. In Monrovia, every business is valued as a partner in serving the people of Monrovia to create a community that offers a premiere quality of life. The city’s partnership with businesses starts at the onset of the businesses’ establishment and lasts long after the business has opened its doors. Monrovia invites you to experience all that the city has to offer and be a part of its thriving community. The City of San Gabriel has seen a steady growth in jobs and small business development, especially in the retail, food, and hospitality industries due to its business friendly philosophy. Year-round global tourism, entrepreneurial excellence and a culturally rich community support San Gabriel’s stable economy. San Gabriel’s innovative spirit has propelled the city to the next level as a desirable community in which to live and invest. With multiple development projects ranging from a new boutique hotel to several mixed-used projects, San Gabriel fosters a business climate where companies can grow, prosper, and thrive. The city invites you to come and explore San Gabriel. Santa Fe Springs is ready for business. The city is strategically located with access to major seaports, airports, and transportation corridors. Over 60% of the city is zoned for retail, office, and industrial uses. Santa Fe Springs has low property taxes and permit fees. The city’s friendly, accommodating staff takes a common sense approach to development and finds a pathway to “yes.” The city actively supports local businesses, social services, and the arts. The excellent location, thriving business community, and supportive government make Santa Fe Springs a very business friendly city in Los Angeles County. At the 2017 Eddy Awards, the City of Arcadia and the City of Downey were recognized as the Most Business Friendly Cities. In addition to the live announcement of the Most Business Friendly Cities in L.A. County, the Eddy Awards gala will also celebrate individual, corporate and education honorees. American Airlines directly employs nearly 7,000 people in LA County but its economic impact extends far beyond direct job creation. As American Airlines has grown, it has strengthened LA’s global connections via its nearly 200 daily departures on peak days from Los Angeles International Airport (LAX), through its #1 rank in commercial airline cargo volume at LAX, and through the immense indirect economic activity it generates in the region made possible by its continuous movement of people and goods, as well as substantial investments in its team members, product and facilities at LAX. As an example of the company’s importance to trade, American Airlines cargo volume at LAX has increased 121% since 2015. Beyond its flight operations, American continues to invest in LAX – one of the region’s most vital economic assets – to improve traveler experiences and operational efficiency. Its $1.6 billion project to modernize LAX will reimagine terminals four and five to create a better experience for its 16.5 million annual passengers and add a link to the upcoming people mover and LA Metro rail system, among other improvements. In addition to those tangible contributions, American Airlines’ extraordinary people and culture define the company and its relationship with Los Angeles. This is visible through its focus on local workforce development, and through its locally-driven philanthropy with many deserving organizations. Cal Poly Pomona University embraces a learn-by-doing approach to education, which means graduates gain experience with creative challenges and technologies that will better prepare them for the professional world. With over 80% of students living or working in the region after graduation, they have an outsized effect on the success of the LA County economy, at employers such as JPL, DWP, ESRI, Boeing, Northrop Grumman and others. Cal Poly Pomona, with a student population of more than 25,000, is ranked 6th in the nation on the Social Mobility Index, which measures the extent to which universities educate economically disadvantaged students who graduate into good-paying jobs. The university was also ranked by Forbes in 2018 as one of the best-value colleges in the nation. In addition, U.S. News ranked the university 4th among public universities in the West, and the university is in the top ten nationally by number of Latino students earning bachelor degrees in three fields: architecture, agriculture and engineering.